This is the second project I made using Czechmates Triangle and Lentil beads. I don't know what took me so long to pull these beautiful beads out and give them a try. 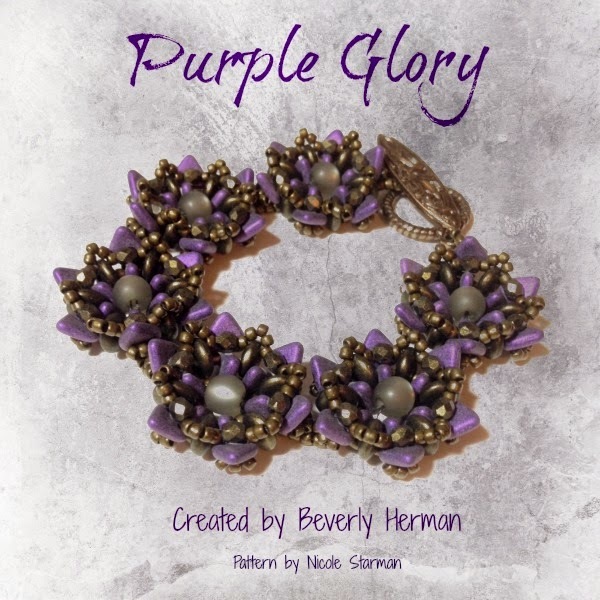 The pattern Golden Glory Bracelet is by Nicole Starman. The pattern is free and you can download it on the Bead & Button website.